It’s being reported that an 8-year-old boy has drowned onboard Liberty of the Seas yesterday, December 21. According to a letter from Royal Caribbean to the guests onboard the ship on the Cruise Law News site, the young child drowned in one of the ship’s pools. The boy was spotted by one of the guests and pulled out. The ships medical team responded and performed CPR for more than 1 hour but sadly it was too late. Liberty of the Seas is sailing a 7-night western Caribbean cruise. When the boy drowned the ship was sailing a day at sea and heading towards Cozumel, Mexico. Liberty of the Seas departed Galveston, Texas on December 20 and is expected back on December 27. Other ports of calls include Roatan, Honduras and Costa Maya, Mexico. Many cruise lines do not have lifeguards onboard so young kids are able to use the swimming pool with no supervision. There have been many questions asking why some of the world’s largest cruise lines dont employ lifeguards on their ships. This latest heartbreaking news will further increase the need. Liberty of the Seas can carry 3,630 passengers at double occupancy and is a 160,000 gross ton vessel. 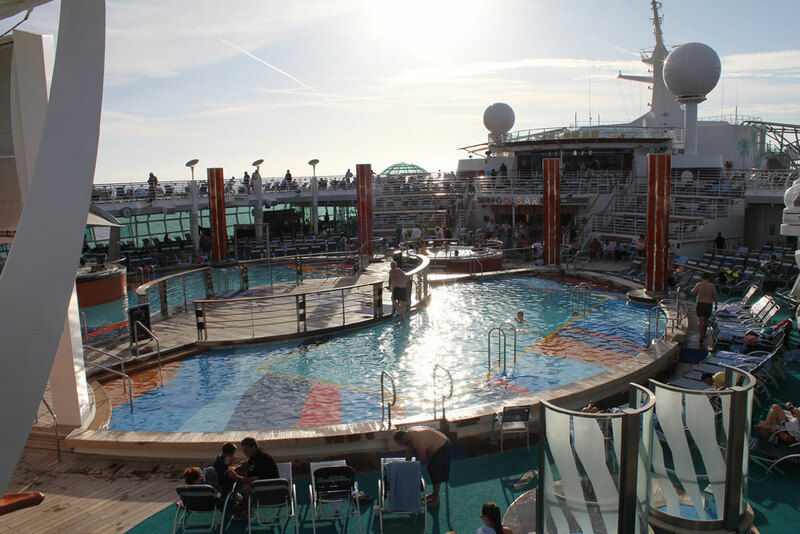 The large ship feature an adults only pool in the solarium, a main pool which also hosts pool sports, the H20 Zone which features 2 splash pools for kids and there are also whirlpools and Flowriders. It’s not yet clear which pool the young child was in. Our thoughts are with the child’s family and loved ones during this difficult time.